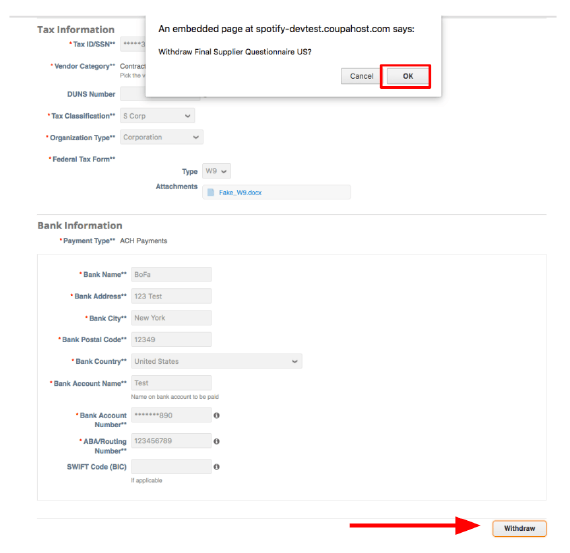 The RFI is a long form that helps set up your account profile. 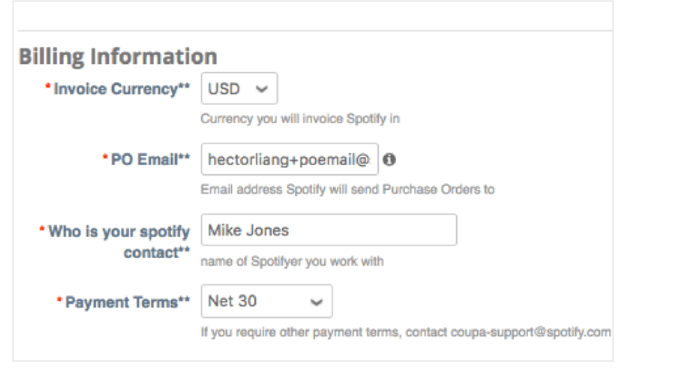 You will need to complete the RFI for each Spotify account you are a vendor for in order to receive POs and submit invoices. The Spotify Entity you are billing to. If you are unsure, please reach out to your Spotify contact for clarification. This will be a point of contact at your company for general communication from Spotify. You must enter your full business address. If you have a different ship from address, please enter it in this field. 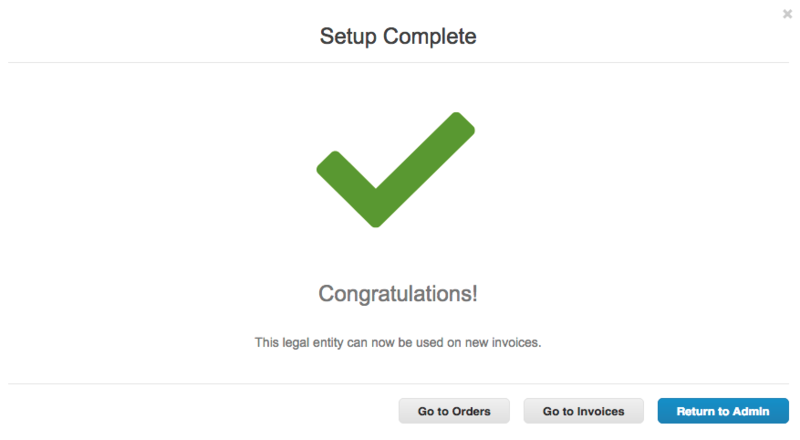 The currency you will be invoicing Spotify. This is a email contact from your company that Spotify will be sending purchase orders to. This should be the Spotify employee you have constant communication with. This should not be the Vendor Master Analyst employee contacting you about registering for Coupa. This identification number will be determined by the location of your company’s registration. Please use the dropdown menu to select the category that describes the services your company will provide to Spotify. If applicable, please enter your Duns & Bradstreet number. If you do not have one, please leave this field blank. The tax classification of your company. This will be the organization type of your company. Please attach your W-8 or W-9 tax form, if applicable. *Note: This will vary from country to country. 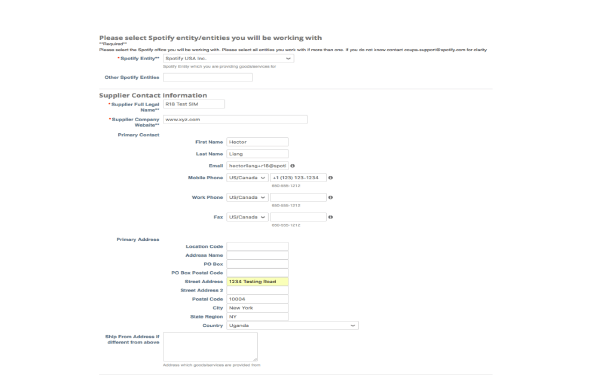 Some fields may not appear depending on where your company is located. 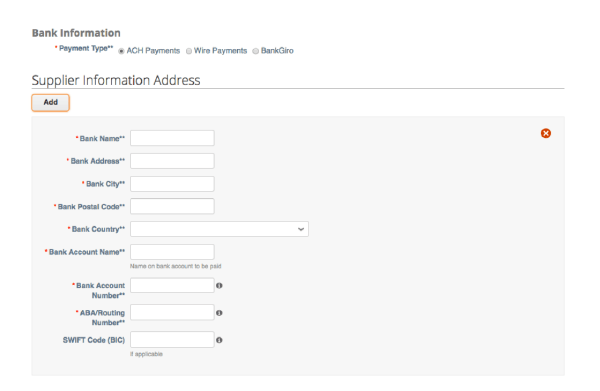 Select the payment type eligible with your account. below. Click “Add” if the fields do not appear. The account holder’s name. I.E. Test Company, Inc. If you have more than one bank account that Spotify will be remitting payments to, please click the “Add” button to add more banking information. If you clicked Add by mistake, simply click the red X icon to delete the extra box. 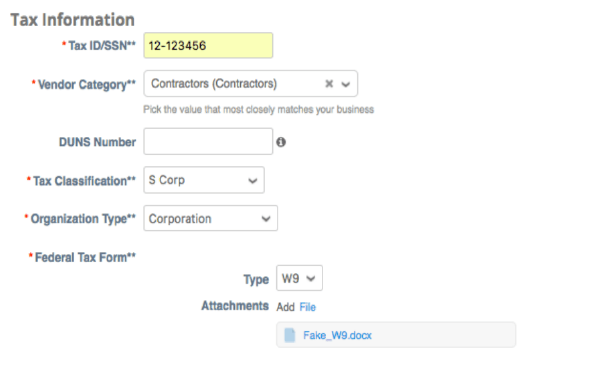 Coupa will do a quick review to ensure no required fields are missing. If there are fields missing, it will be highlighted in red. If no fields are missing, the form will be submitted and you will see the status as “Pending Approval” at the top of the form. 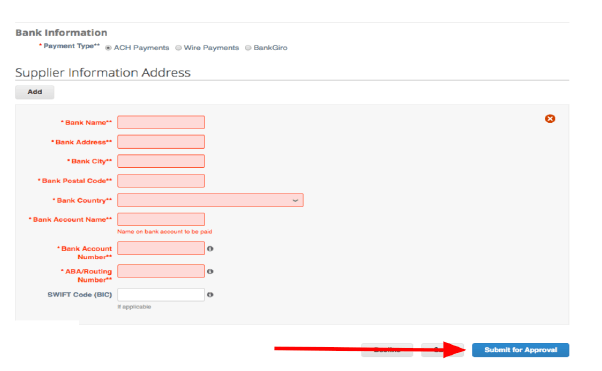 If you notice an error in the form, click on the “Withdraw” at the bottom of the form. This will open the form again to edit. Make the necessary changes and click “Submit for Approval” once the changes have been made.